I’ve been up to my eyeballs in citrus this weekend. In the last 48 hours I’ve made 16 1/2 pints of marmalade, all in an effort to ensure that the recipes I’m including in this crazy cookbook of mine will be the best ones possible. And I think I’m on the right track. Last night, I found my sitting in front of my computer, eating blood orange marmalade from my overflow jar with a spoon. However, I did manage to squeeze (ha!) just one little project to feature here. It’s a orange jelly, thoroughly flecked with vanilla seeds. I’m calling it creamsicle jelly, because as I tasted it during cooking (what? I had to make sure it tasted good), it made me think of nothing so much as those popsicles from childhood (though it doesn’t include any cream). Typically I’d tell you all that you should really start from whole fruit, but when it comes to orange jelly, I believe it’s okay to cheat a little. 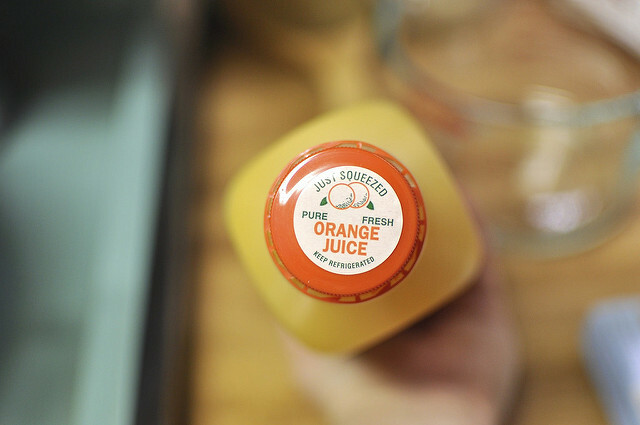 There’s a world of really good, freshly squeezed orange juice out there and often, it ends up being less expensive (at least in Philadelphia. I know you Floridians have oranges coming out your ears this time of year) than buying enough fruit to yield four full cups of juice. And aren’t those Weck jars pretty? Look for a how-to post on Tuesday that will show you all the ins and outs of using them (truly, they’re pretty darn easy once you know a couple of things). Combine orange juice, sugar, vanilla bean scrapings and beans (to extract as much flavor from them as possible) in a large pot (this one is a foamer). Bring to a boil over high heat and cook with the intention of reducing the volume by approximately half. Use a thermometer to track the temperature, so that you know when you’re getting to 220 degrees (the set point of jams and jellies). When it has reached 220 degrees and is able to maintain that temperature even after a good stir**, add the pectin. Cook for an additional 2-3 minutes and remove from heat. Remove the vanilla beans from the pot and pour jam into prepared jars. Wipe rims, apply lids and screw on bands. Process in a boiling water canner for ten minutes. When time is up, remove jars from processing pot and place them on a towel-lined countertop and let them cool undisturbed for several hours. When they are cool enough to handle, check the seals. Store any unsealed jars in the fridge and place the rest in your pantry. Eat this jelly on toast or stirred into yogurt (if you want to get the true creamsicle effect). * I’m hearing reports that people are having a really hard time getting this jelly to set. I think the liquid pectin may be to blame. These days, I’m only using Ball brand liquid pectin, because I’ve discovered that the Certo brand barely seems to work anymore. Last summer, I had a number of recipes fail with it that used to work quite easily. If you’ve made this jelly and it hasn’t set up, you can give it a few days to see if it eventually gets firmer (this often happens) or reboiling it with a second packet of pectin. If you haven’t made it yet, I’d recommend either using Ball brand liquid pectin or switching to half a packet of powdered pectin. ** When I cooked this jelly, it reached 220 degrees at least six or seven times before it was time to add the pectin. It needs at least 30 minutes of boiling (if not more) in order to set up well. MMMM I need to get vanilla beans. Do you buy yours online? I do. Last time I bought them from these folks and was really happy with what I got. Same here! I’ve bought from them twice now. The jam sounds amazing and I can’t wait for the Weck post. 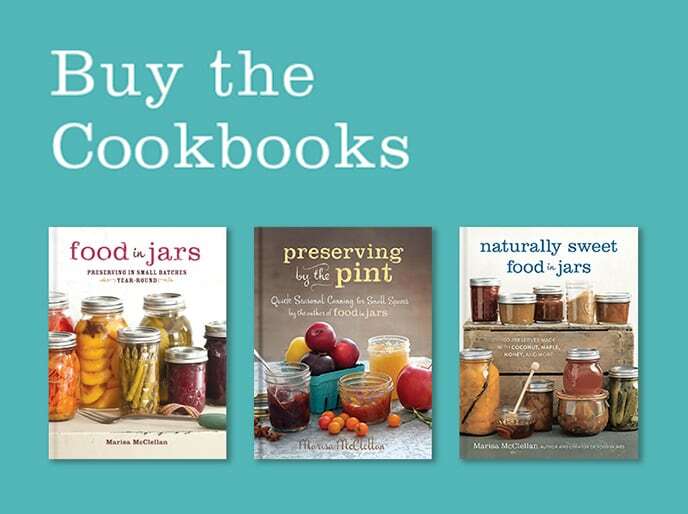 I’ve owned Weck jars for years but have never used them for canning! Looking forward to your Weck post too! I have these ones and <3 them. This sounds yummy but I have a couple of questions. Do I have to use liquid pectin? I usually use pamonas and would like to use that in this recipe. Also the sugar can I reduce it? This is one of the reasons I love pamonas is I can usually play around with the sugar. I don’t mind if it doesn’t jelly really well since I can see us using it more on ice cream and in yogurt. Danielle, you are welcome to play around with it and see how you can adapt it to your tastes. Of course, I have no idea how it will turn out if you use Pomona’s Pectin, since that’s not how I made it. But I’d love to hear your results. Using a good quality juice for jelly never crossed my mind. The jelly bag straining of jellies always scared me off, now I’m thinking of other juice-based jelly options. I made a vanilla bean meyer lemon marmalade recently and loved the citrus-vanilla combo, this may be next on the list! Update: So, in the end, I did do this for my business, now that citrus season is here. Two things: First, it set up beautifully using Pomona’s Pectin and 1 cup less sugar than your recipe, and; second, it also set up perfectly using Pomona’s and xylitol (my preferred sugar substitute). However, after refrigeration, the sugar-free batch crystallized. I’ve come to realize that the xylitol and recipes that are primarily citrus (such as marmalades), have this same reaction, using the sugar-free, a reaction I’ve never had with any other fruit. I don’t know how this recipe would act with other sugar substitutes, but I thought I’d throw this out here, in case anyone had the thought to do the same. when did you add the pomona’s? I have it, but I am not very good at playing around with recipes? can you tell me your steps please? 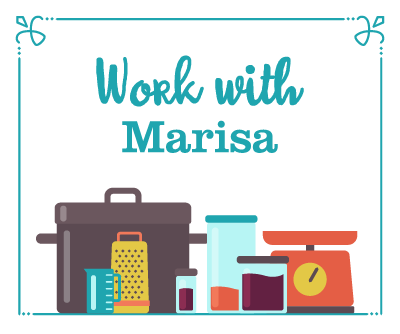 Marisa has gone to the dark side of canning with the Weck jars! (j/k) I am excited to read your tutorial about them. You always seem to come up with the best flavor combinations — this would be a sure winner at our house. Maybe layered in a spring cake?? Love those little Weck jars, and can’t wait to read your notes. I’ve have GOT to try this recipe. I loved orange creamsicles when I was a kid. When you talk about Weck jars, please mention where we can buy them. Thanks! 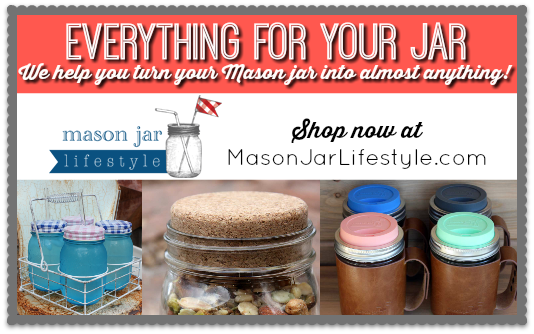 I love those weck jars!!! Haven’t used them yet, but they are sooooo elegant. The jelly looks so lovely too! I’m a little embarrassed to say it never occurred to me before to use orange juice for jelly. Live and learn, and I can’t wait to try this recipe! 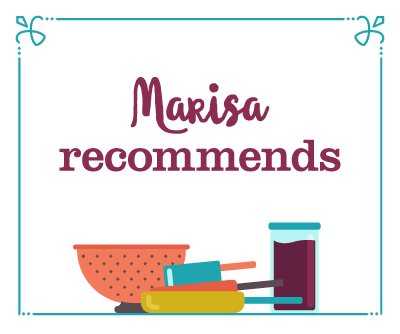 Thanks, Marisa. Made this recipe last night. It’s SO yummy, but the finished product came out really loose. We followed your directions and all the jars sealed properly. Would you recommend we undo the jars and boil the jelly again, or is this just not a very firm jelly? Anna, before you redo the jelly, I’d suggest putting one jar in the fridge and seeing how it firms up after having been chilled. If it reaches a consistency you’re happy with in there, then leave it as is. Otherwise, you can certainly reboil it. When making jellies like this one, I’ve found that it really needs a good 30+ minutes of vigorous boiling in order to cook enough water off to get a good set. When I first saw the name of this recipe I thought, “What?! ?” But, it sounds wonderful and I am definitely gonna try it! As usual, thanks Marisa. This certainly does look yummy and using the juice is an awesome idea! Love Weck jars, just so hard to find. Williams Sonoma used to carry them but no more 🙁 and I hate shipping costs! 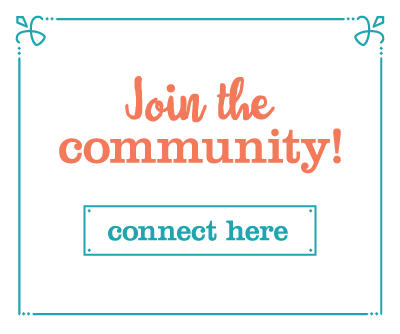 Love your blog, thanks for sharing! Ok. So I made this jelly and didn’t reduce by half. But I boiled vigoriously for over an hour. I did get to the 220 temp. Should I re-boil? Did I screw it up? I’m really becoming addicted to making jelly. My mango ginger is yummy and I have been hording it. I need another jelly to give away and I thought this might be easy for gifts. Are you saying that it didn’t set up? When did you make it? And what brand of pectin did you use? Before reboiling it, put a jar in the fridge and let it sit there for a day or so. Refrigerating it will give you a good idea of how it will eventually set up (if it’s going to). I’ve added a note about pectin to this recipe, take a peek and let me know if you have any questions. I did use powdered pectin and I don’t think I reduced it enough. Still trying to find the time to re-boil, reduce and re-can. I’ll let you know how it turns out. I know it tastes yummy. This sounds so yummy. I am thinking of trying a blood orange jelly next week. We also love ruby red grapefruit, so I might try a batch of that too. I made this yesterday and the flavor is amazing! For some reason my batch did the opposite of what others are reporting….it is so firm it is like one of those jelly candies. Do you think I can melt this all down and add more juice and sugar to get a softer set? Mary Kay, unfortunately that’s rarely advisable, because then you run the risk of getting no set at all. However, there are still things you can do with it. Melt a little bit into oil and vinegar for a salad dressing. Water it down into a syrup to glaze a poundcake. Or call it a fruit gelee and serve it just as it is on a cheeseplate. I am getting ready to make this tonight, and then I saw your update notes. I think I’ll try using the powdered pectin, since that’s all I have in the cupboard anyway. I know usually you add powdered pectin before cooking, but other than that, what would you do differently in this recipe using the powdered? Thanks so much!! Bridget, if you’re going to use powdered pectin, whisk it into the sugar and then proceed with the rest of the recipe. 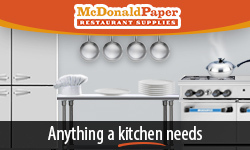 You can actually cook it up to 225 degrees or so to ensure a set. Glorious. I love the name “creamsicle jelly.” It makes me want to ride around on a banana seat bike. Mine is setting up very, very firmly as well. Not so much jelly as some kind of chewy candy… I think the instructions to make sure to reduce by half should be taken with a grain of salt; reaching a solid 220 degrees means that the appropriate water/sugar ratio has been reached for a firm but jelly-ish set. When I pulled mine after 35 minutes of boiling, still short of reduced by half, my temp was holding steady around 235 degrees. This indicates a higher sugar/water ratio, and thus a too-firm set. I think going by the temp is going to yield the more desirable results as long as you’re super sure you’ve got 220 even after a good stir. Continuing to cook and bringing it much higher than 220 is going to give you candy, not jelly. Lauren, I think you’re right about taking the reduce by half instructions with a grain of salt. I did reduce mine by half, but I think the orange juice I used was quite tart and a little bit watery. This leads me to believe that this jelly depends a great deal on the consistency of the juice you start with. I do think that sliced like a membrillo, your super hard jelly could be lovely on a cheese plate. I used fresh orange juice and this jelly is amazing. Mine was a bit running after being in a water bath for canning. It was very nice and firm the next morning. This recipe is a keeper in my recipe collection! I made a batch last night (my treat after a long, challenging week) and it seems to be setting really well. The bit in my overflow jar is perfect. Mine did end up reducing by about half over 30-35 minutes, but I was also watchful of temperature. Yay! Made this with Pomona’s and it turned out wonderfully. I adapted their Lemon Jelly and used the basic ratios, 3tsp of calcium water and 3tsp of pectin and I only used about 1/2 cup maybe a bit more of sugar. It jelled very well and isn’t to sweet. I liked it so much I made another version but with candied ginger so I could stop spending my retirement money on Siggs orange ginger yogurt. THANK YOU for this wonderful recipe! Can you use powdered pectin with this? I’ve not found liquid at the local store. Haha! Nevermind. It helps if I read past the recipe. I just found your site. I just made this recipe as gifts to professors in preparation for my graduation in a couple of weeks. It turned out lovely, so much so that I made a second batch for myself! I just made this jelly with powdered pectin, and followed my pectin’s directions. The jelly in my overflow set up beautifully, we’ll see how the jars came out once they’re cool. I also ended up with 3 pints! I’m not sorry at all; this stuff is destined to go into shortbread thumbprint cookies, and I’m planning to serve it with ricotta cheese on toast. It’s so good! I have had sooo many recipes fail to jell and as I think about it…I believe I used Certo for those. Wow…that explains a lot! I know it happens but last year I sure did end up with a lot of jars of “sauce” instead of preserves! Ummm this is the yummiest jelly i have ever freaking tasted!!!! So I had been thinking about this flavor combination a few months ago when orange juice was on sale & then I checked your site & OF COURSE you had a recipe for it already! (I tell you great minds think alike!! lol) Since I always use the no sugar needed pectin I just used your recipe as a guide & adjusted the sugar myself. The first attempt took SO LONG to reach 220 that it eventually just reduced down into a very dark jam … 128oz of juice down to 24oz of jam … I was NOT happy with it! Did I mention that I recently found out that I live in a high altitute area? Anyway so I let it go for a few weeks & then tried again with another gallon of OJ. This time I tried to let it cook as long as I could to let it reach 220 but no cook down to nothing in the process. After well over an hour, it still hadn’t hit 220 but I was done waiting so I did the cold spoon-gel test & it was set up enough that I canned it anyway. Well that was a month or so ago now & unfortunatly they never did set up how I wanted. The 8oz jars are kind of semi-set in the middle & liquidy around the edges while the 4oz jars are pretty much all liquid. However they do taste great!! … So I’ve decided that (for now) instead of wasting more time & money to recook & can them I’m going to do the much simpler thing … just re-label them! They will now be known as orange creamsicle SYRUP. Maybe I’ll give it another try sometime but for now we’ll see how the new syrup sells at the farmer’s market. Thanks again for all your recipes! Heather, you really need the sugar in this recipe to give it the boost it needs to achieve 220 degrees. But it sounds like you’ve found a good solution in the relabeling! This and the related Weck Jars post were really helpful to me. I just bought some new Weck jars this weekend. The tips in the Weck Jars post really helped with some of the fears I had about the jars not sealing properly. Thanks a lot. Made this over the weekend with vanilla bean paste, as we can’t get vanilla beans here. Wonderful! Do you have powdered pectin? Or preserving sugar? You could use either one to help create a set. hi ,no no we even doesn´t have a powdered pectin .But we have a jell sugar (and it include pectin ) so i decided that i´m gonna try it with this . I just finished up a batch last night, had it for breakfast on biscuits! I doubled the recipe and made a few other changes. 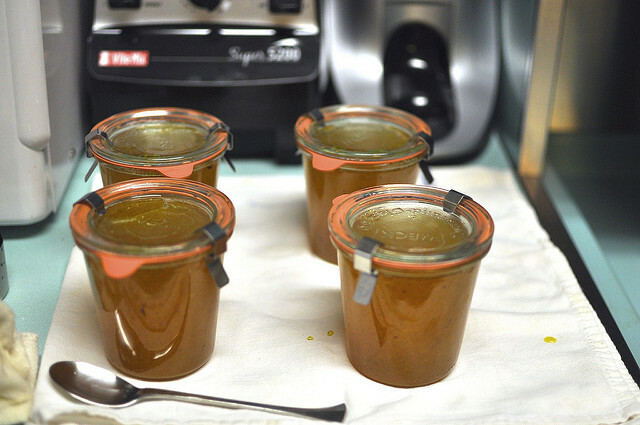 I used low sugar powdered pectin, and used 6 cups of sugar for 8 cups of juice. Vanilla beans and time made this into a masterpiece! It jelled perfect, has a jammy texture, I was expecting more like a clear jelly. Thanks so much for the great idea! This is AMAZING!!!! I made a batch last night and it turned out perfectly. Thank you for sharing!!!!! Just curious, would you classify the juice you used as no, low, regular, or high pulp?? I used no pulp and it worked just fine. This was awesome…..and I wound up with two products from one batch. I followed your instructions (added the liquid pectin at 220°…about 25 minutes at a full boil.) Once i added the pectin i let it boil for the three minutes and put some in a jar which gave me what set up to be a syrup consistency (can’t wait to try it on vanilla crepes.) After that I put the thermometer back in and boiled it back up to 220°…..this gave me my jelly (3 pints!) I got one pint of syrup and 3 pints of jelly! This is delicious, Thank you! Pulp in or out ? or does it really matter in the taste ? I leave the pulp in, but if you don’t like pulp, you can remove it. Sometimes procrastination turns out to be a horrible idea. I found your Creamsicle Jelly recipe about a year & a half ago, but only just today did I finally get around to making it. Oh my goodness gracious died & gone to heaven stars & garters this is fantastically good! I’m trying not to re-open the jars that are supposed to be setting up now, so I’m currently reduced to licking off the spatula and scraping out the pot for every last scrap of orangey sweetness. Thank you, thank you THANK YOU!!! I made this a couple of weeks ago. The jelly was a bit on the thin side even over 12 hours after removing from canner but I just look at the jars this morning and it is set up nicely. So be patient and don’t panic if you don’t think it’s setting up. Can’t wait to give jars of this for holiday gifts! I am so bummed. I made this tonight and while it tastes fantastic, 30 minutes of boiling seemed to be way too much. My jelly was so thick, it was close to be a gummy fruit snack. I want to try again but am not sure how much time to cut down. I think having it too runny is better than too sticky. Rachel, every batch is different, which is why I offered a couple of different ways to check the set in the recipe. The time wasn’t the only method described. With a preserve like this, it really does help to track the temperature, too. I’m sorry that you’re disappointed. I think I will be frowned at for this question, but I do not have vanilla beans (yet) and I have been wanting to make this recipe for awhile, do you think I could use vanilla extract, if I added it in right at the end so it does not evaporate away? Any advice would be great love your recipes! Andrea, you could give it a try, but the flavor really won’t be the same. Marisa, This jelly is amazing! Creamsicle/Dreamsicle …………….WONDERFUL! Thank you so much for posting this recipe. My first batch is a little more like a thick and rich syrup so I will be utilizing some of your tips to thicken it up a bit. Regardless of the consistency I will be making more of this. It is one of the most unique jelly flavors I have ever made. Thanks once again. I have found that juice that contains added calcium does not set up. I’ve also been experiencing the same problems with certo. I want to try this recipe but cannot get my hands on any vanilla beans, do you think vanilla extract would give it the same flavor? I have been jamming since about July this year and I am really beginning to enjoy myself. My two basic recipes that I have been adapting and playing with are herbal tea based and kool-aid based. My jams and jellies have become a source of income for me and I am becoming well known in my community for providing a product that you will never find in a grocery store. I made this recipe today with fresh oranges and instead of vanilla beans I used about 3 tbsp. of Nielsen massey Madagascar bourbon vanilla bean paste, and it’s a great jelly. I got nervous about it not setting so I added a second pouch of pectin, and it may very well be a little too firm for my liking. As written, I’d say the consistency should be perfect IF YOU FOLLOW THE DIRECTIONS AS WRITTEN. Thanks for a great recipe! Looking forward to melting a little and pouring it over vanilla icecream, and using it as a layer in chocolate cake. Can pure vanilla extract be used in place of the vanilla bean? I have never used the beans before and not sure where to get them. Unfortunately not. It doesn’t have the same depth of flavor. I order grade b vanilla beans online from Beanilla. Shera, I used Pure Vanilla Extract in mine and it tasts yummy! Jackie, how much vanilla extract did you use? Just made this jam. It is so delicious!! It made 3 half pint jars and nearly a 4th full one that I didn’t process. The fourth one is setting up really well. Can’t wait to try it on toast with peanut butter. Use Pomona’s Pectin and you will have good gelling results even with low sugar recipes! This recipe sounds wonderful. Any suggestions on how to adapt this for the automatic jam and jelly maker? Unfortunately, this preserve won’t work in the automatic jam and jelly maker, because it’s cycle doesn’t run long enough to get up to 220 degrees. Love this recipe. Since you are a jelly maker like me…I need your help. Admittingly I am self taught…but none of my jellies are setting. My tried and true recipes are a flop and need a double dose of pectin. Any suggestions? It could be that the pectin you’re using isn’t working as well as it once did. Certo was reformulated in the last few years and it isn’t as effective as it once was. Hi mine didn’t set up too well either but I found a fabulous use for it. Orange vanilla syrup. It is awesome on pancakes and waffles. I’m making another batch and I think I will try for the same syrupy consistency this time too. pomona pectin is awesome!!! I will never use any other brand again if I can help it. can do low sugar–less than half most recipes and still sets up. I have found at many health food stores and you can check them out online too. I have made this Jelly 2 times and both times I had to do a re-boil to get it to set. Actually I had the identical recipe from another site and it did not go into the depth that your recipe does and I know that is the reason for the no set. First time I made it even on a re-boil it did not set so I make a lot of my Jams and Jellies for re-sale at craft shows I attend. Not wanting to toss the first batch I pawned it off as Dreamsicle Ice Cream syrup and it was a huge hit. I made the first batch with 100% Simply Orange. Second time around I used a dozen or so Valencia oranges and did the hand squeeze and all to get the required 4 Cups followed the other recipe to the letter and still it was a NO set. Did a re-boil with the liquid pectin (3/4’s of 1 pack with sugar and lemon juice) and low and behold I did get it to set but looks like I have given up that perfect orange clarity because of the re-boil. There are a few things in this recipe that the other one did not like 30 minutes or more of boiling and 3 minutes of cooking after introducing the liquid pectin. This is a Jelly well worth the effort to make. I know I am long winded but for those wanting to skip the Vanilla Bean I recommend not as when this jelly sets up and the specs of Vanilla Bean run throughout the jelly it is down right pretty and I find one Bean and it’s seeds are plenty to get the actual Creamsicle flavor. 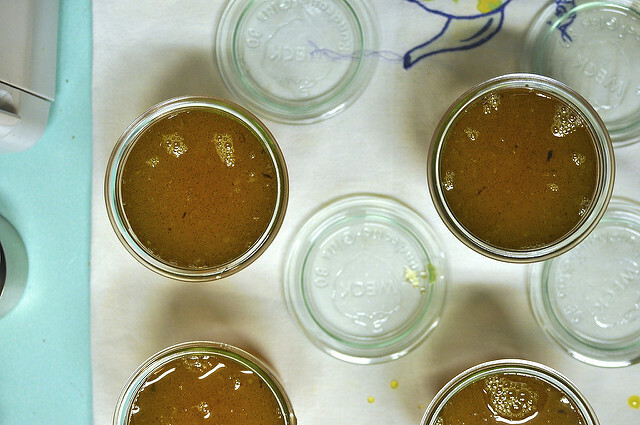 I am off to make 5 more jars using this recipe…happy jel setting! This has a really yummy creamy (not tart) orange flavor. Mine didn’t set (this was my fault for not cooking it long enough, because I noticed around the top of the pot the bit that was stuck to the side was perfectly set). It is still wonderful as a syrup, it is perfect drizzled over crepes! Can I substitute powdered pectin instead of the liqid? If so, how much do I need? I’d also like to know if powder will work. Is one type of orange better then the other? I made this jelly using bottled tangerine juice from the refrigerator section at the grocery. Based on all the comments about using liquid pectin and set problems, I used powdered pectin instead. It worked great. I boiled the juice, sugar, and vanilla beans for about 25 minutes, turned off the heat, opened the box of low sugar/no sugar pectin, stirred it in, and then brought it back to a boil and boiled it for 1 minute. The set was great – not too stiff but not runny. The yield was 4.5 1/2 pint jars. I just made a batch of this, and the “taste test” amount I spooned onto a plate is absolutely delicious! 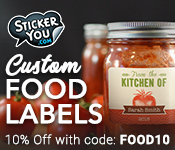 Some of my friends & fam will be getting jars of this for holiday gifts this year. It’s already setting/gelling in the bottom of the pan I cooked it in. I think it’s important to have this at a good hard boil for at least 25 minutes or so. Also, I used Ball liquid pectin. It’s the only brand I use because it always works for m.